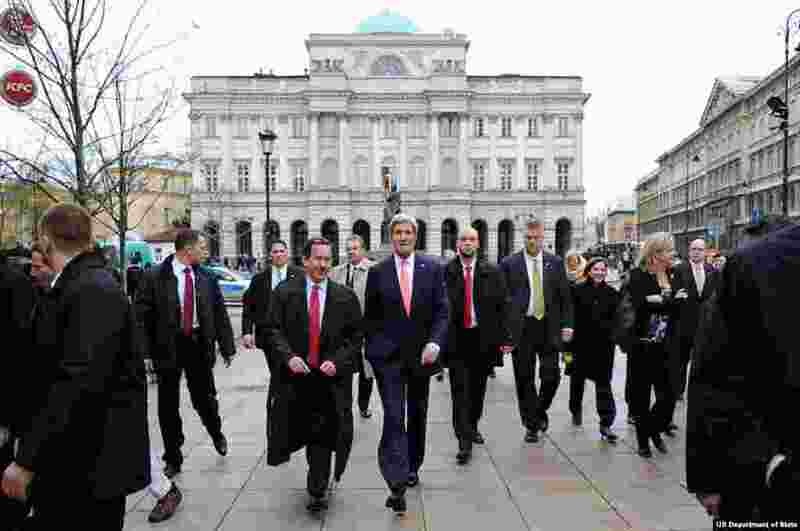 Secretary of State John Kerry travels to Warsaw to discuss bilateral and international issues. 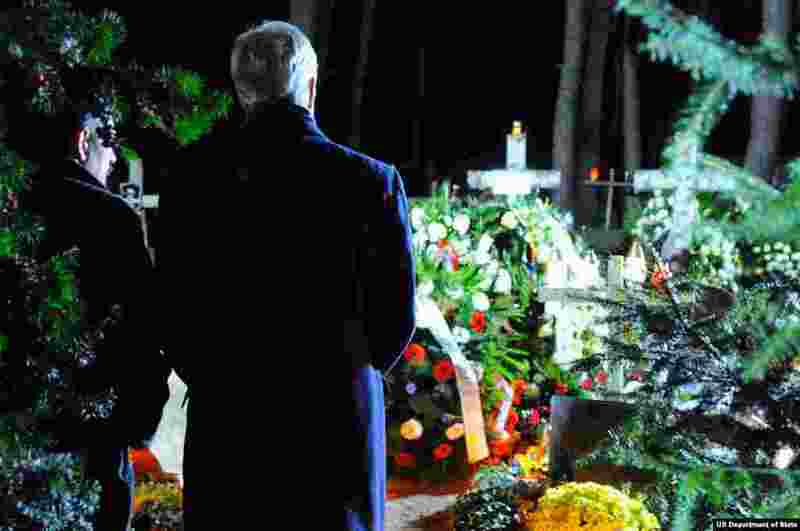 1 U.S. Secretary of State John Kerry chats with Michal Mazowiecki, the son of former Polish Prime Minister Tadeusz Mazowiecki, after paying his respects at the father's gravesite in Laski Cemetery outside Warsaw, Poland, on November 4, 2013. 2 U.S. Secretary of State John Kerry and U.S. Ambassador to Poland Stephen Mull walk away from a statue of philosopher Copernicus as they begin a walking tour of downtown Warsaw, Poland, on November 5, 2013. 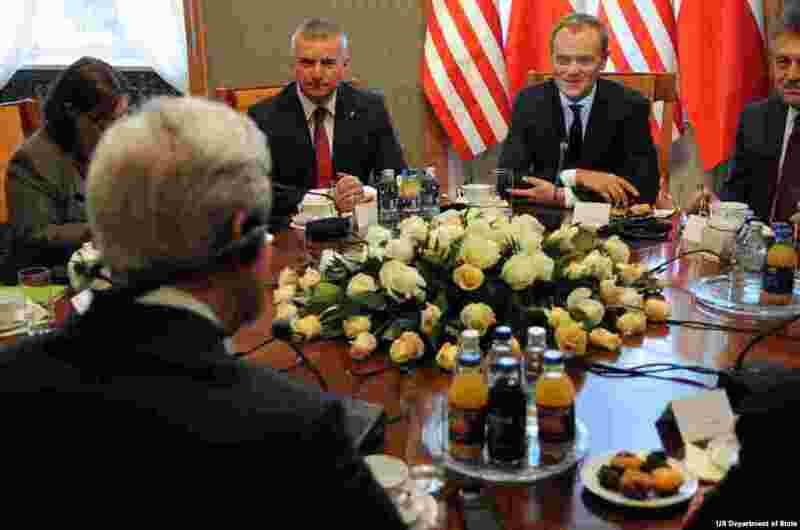 3 U.S. Secretary of State John Kerry listens to a translation of Polish Prime Minister Donald Tusk as he speaks at the outset of their meeting at the Chancery in Warsaw, Poland, on November 5, 2013. 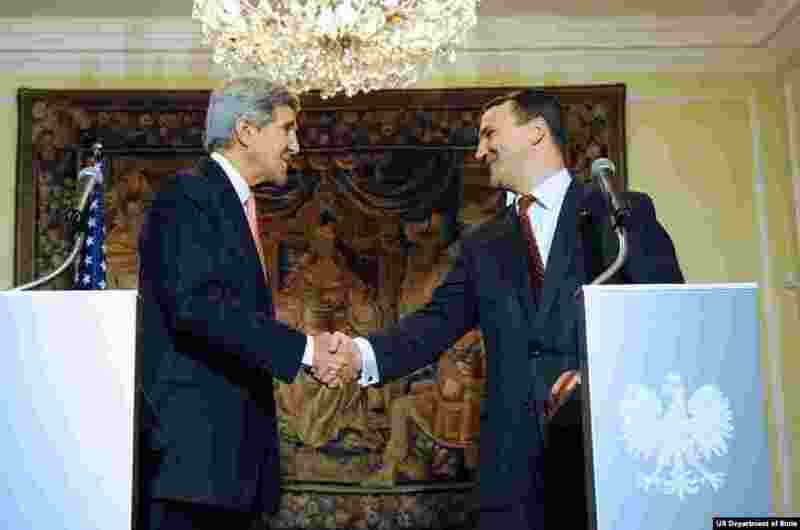 4 U.S. Secretary of State John Kerry shakes hands with Polish Foreign Minister Radoslaw Sikorski after they addressed reporters during a news conference that followed their meeting at Foksal Palace in Warsaw, Poland, on November 5, 2013.